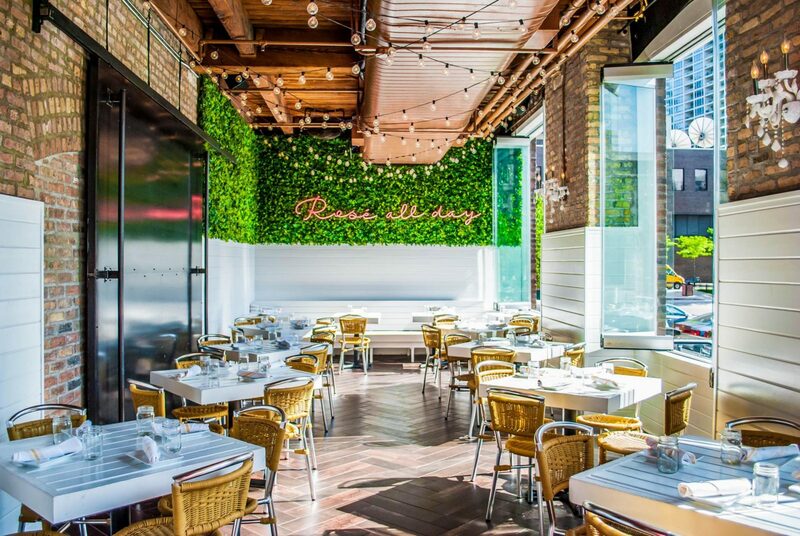 Just because summertime in Chicago is drawing to a close (please don’t go warm weather – PLEASE), doesn’t mean you should you skip going to one of the best rosé happy hours in the city. 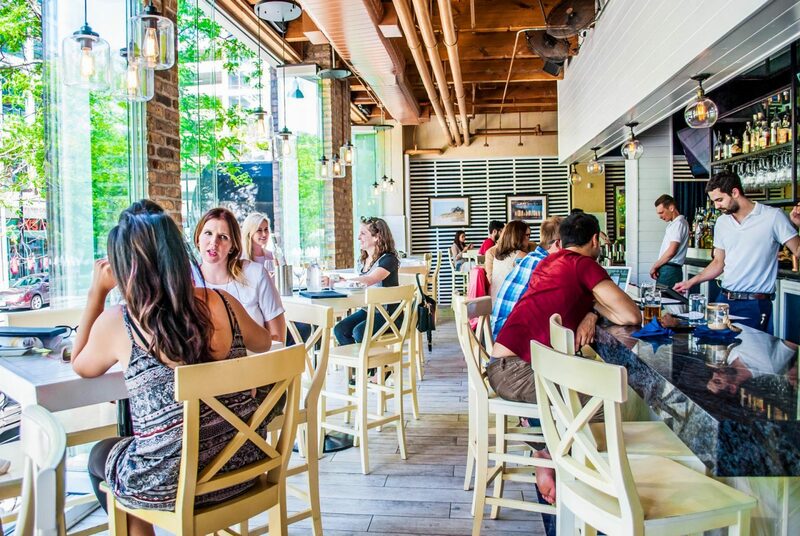 Awhile back, I went happy hour with my girlfriends at The Hampton Social in River North. This place is right out of a beach dream. Walking into the restaurant, you are transported to a seaside escape that could right on the shore of Long Island. 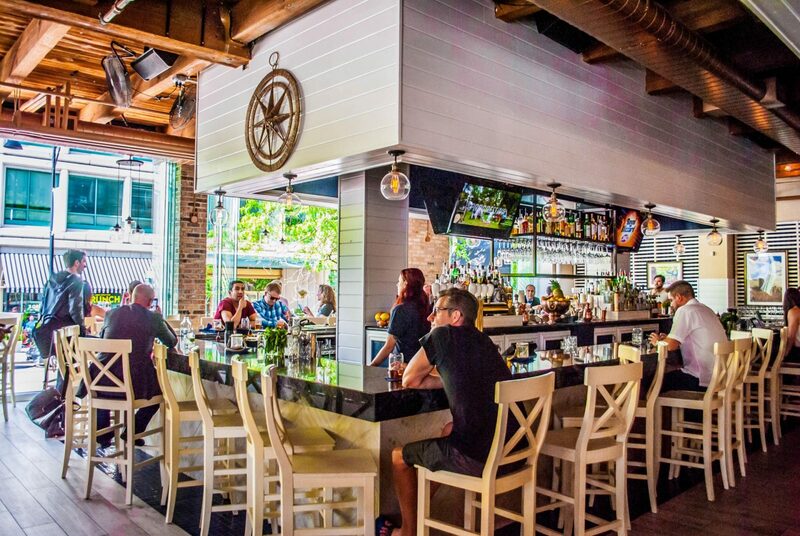 From the light, white and bright decor to the magnificent open air windows, The Hampton Social makes you want to sit back and enjoy great drinks and food with your best friends! 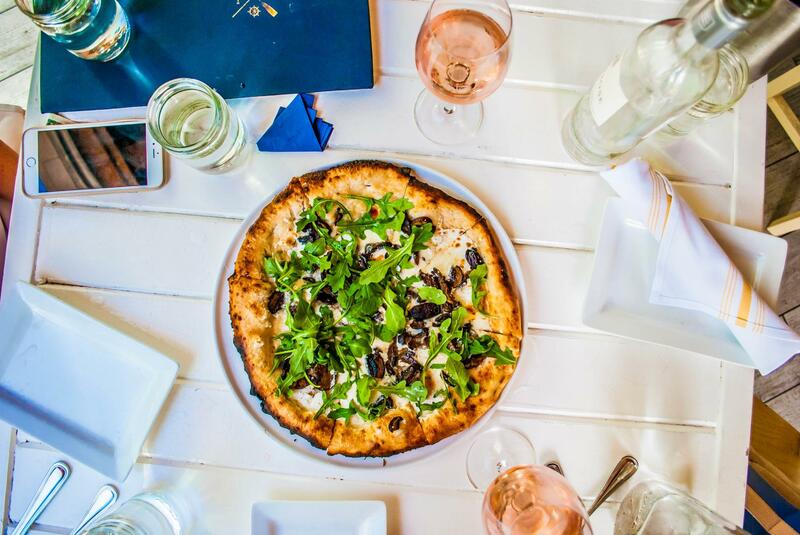 Happy hour is the best time there because rosé and the wood-fired pizzas are half off from 3 to 6 pm. 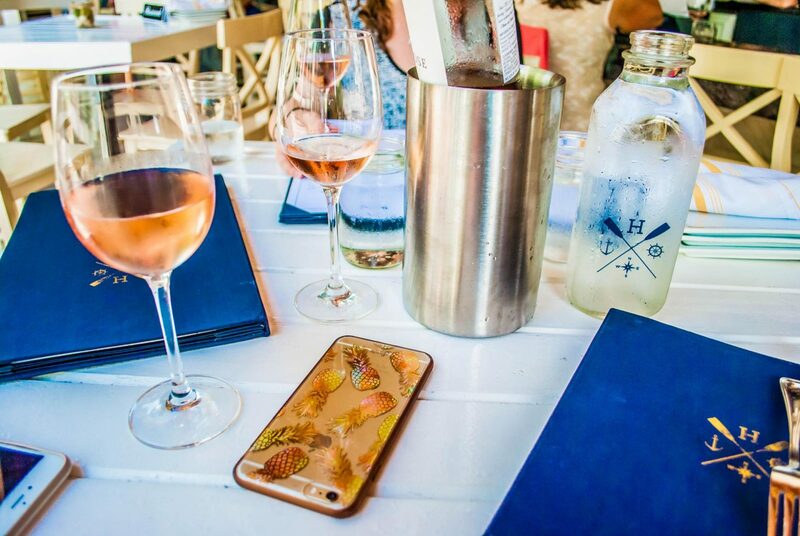 Rosé all day, of course! Seated right next to the wide-open windows, my friends and I split a few bottles of the rosé and the mushroom pizza. The pizza was amazing with its arugula and truffle cream. If you are a mushroom lover, I highly recommend it. My friend even got one to go for her boyfriend back at home. I definitely want to go back and try other pizzas because they all looked awesome. 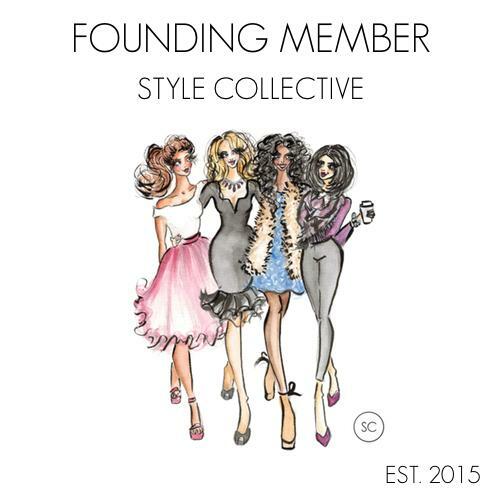 I highly recommend checking it out whether you are visiting or a local! Hopefully, you enjoy it as much as I did! Previous Post Five Reasons I’m Obsessed with Lush Bites – Gourmet Gluten-Free Cookies! Next Post Why You Should Wear Neon to the Office & How! I love Hampton Social! It is so dang cute, and not to mention delicious too. Couldn’t agree more on all points! Thank you for stopping by! Love this place! Such gorgeous photos Mandi!